An easy-to-apply body mousse with lovely floral scents. Made with potent, natural ingredients. 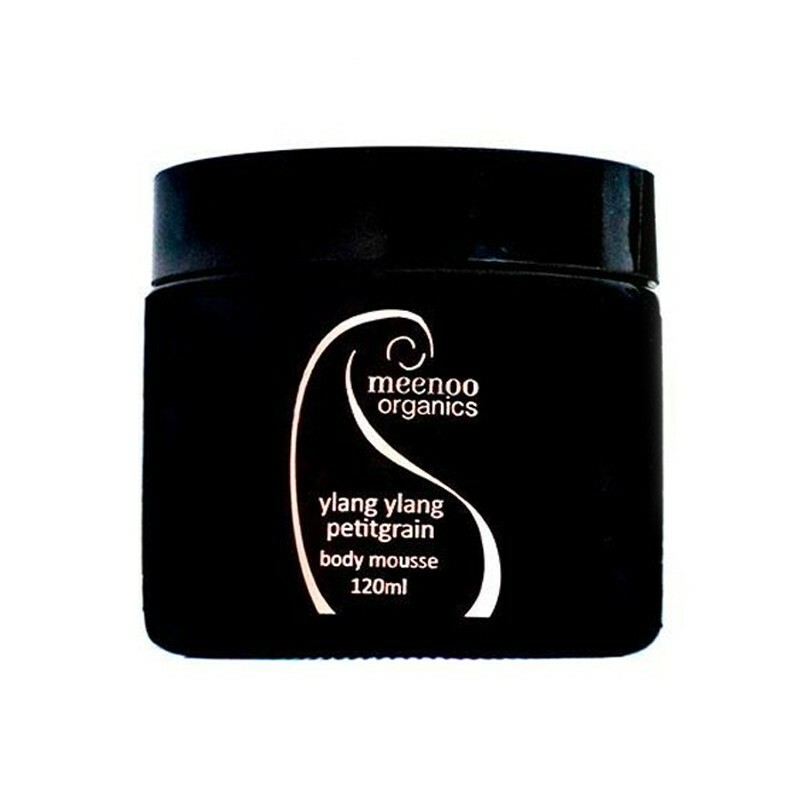 Absorbs quickly and great for all skin types, this body moisturiser will will keep your skin soft, smooth and hydrated. Lovingly handcrafted by a local Aussie company. 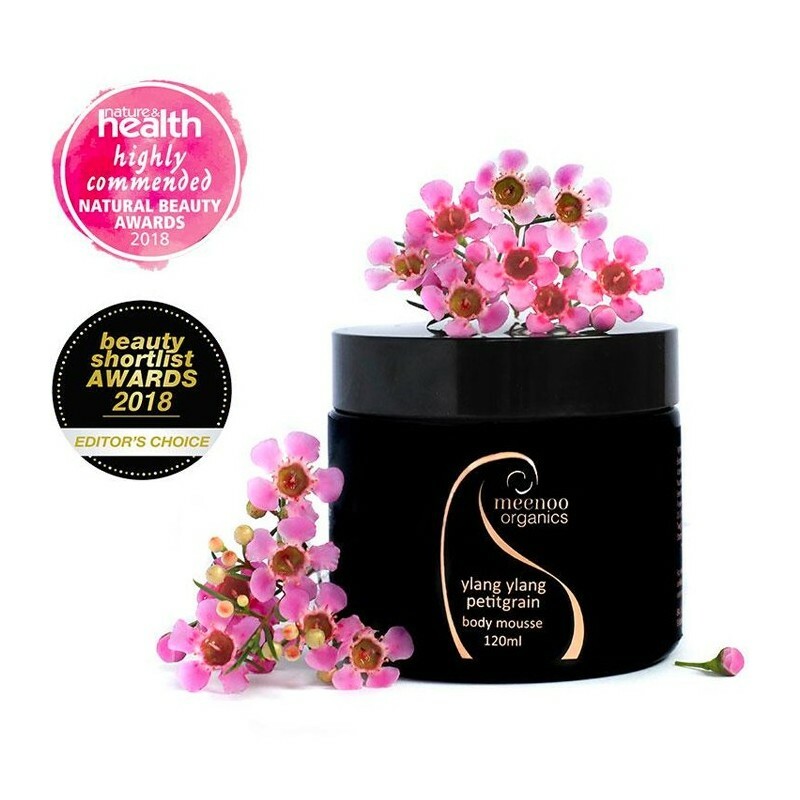 Potent moisturiser, with oils and butters that complement each other. Uses Miron and violet glass containers - acting like a natural light filter and protecting the preservative-free mousse from molecular damage. Protects against moisture loss, repairs skin, and is a powerful antifungal and antibacterial agent. 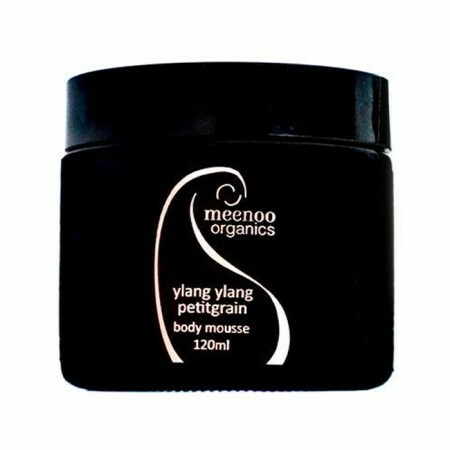 Shea butter and coconut oil mean this mousse has heaps of vitamins, minerals, Vitamin E, and essential fatty acids. Cocoa butter remains on surface of skin so locks in moisture, aiding chapped skin. Warm a small amount in palm and apply to damp skin. Butyrospermum Parkii Butter*, Vitis Vinifera Seed Oil, Cocos Nucifera Oil*, Theobroma Cacao Seed Butter, Cananga Odorata Flower Oil, Lavandula Angustifolia Oil, Citrus Aurantium Amara Leaf/Twig Oil, Tocopherol, Tapioca Starch. *certified organic ingredients.